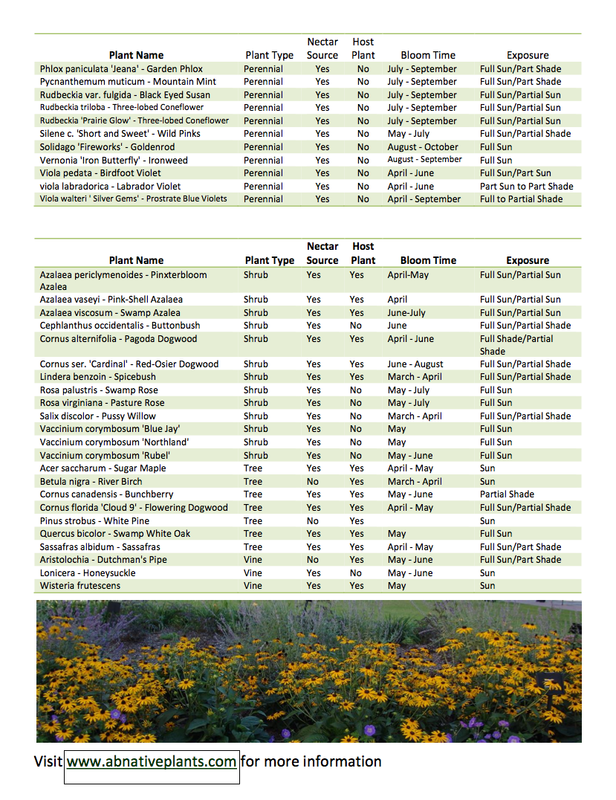 How To Create A Butterfly Garden – Prairie Gardens Top plant picks and tips from the PG Plant Experts to create an oasis for our Butterfly pollinator friends. Creating a butterfly oasis can be one of the most rewarding additions to any garden both in its beauty and its benefits to the environment. And with butterfly populations currently on the decline, inviting them to our gardens where they can flourish is essential for survival, both for them and us. Here’s how you can pull off your very own Butterfly Garden with tips from Prairie Gardens Plant Experts. Butterflies love sun and mainly feed it in at well, so the first step in determining the location of your garden is making sure it recieves 6-8 hours of uninterrupted sun a day. When in search of a drink, butterflies are most attracted to shallow water sources that damp sandy, or muddy. 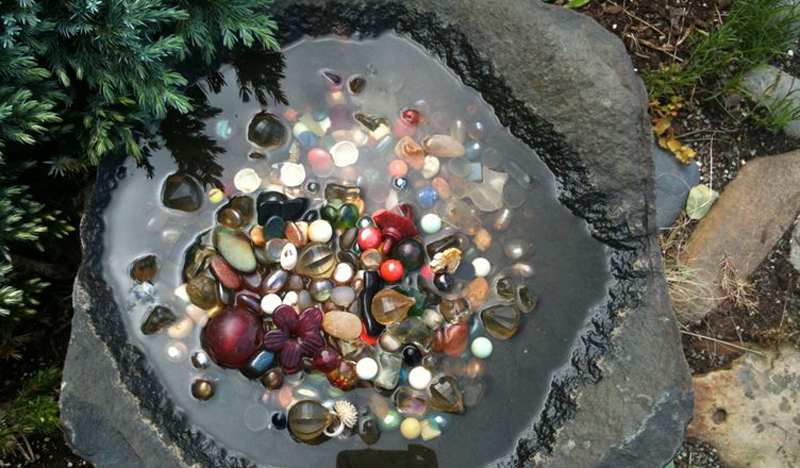 Fill a large saucer with sand, pebbles (provides a place for them to perch) or mud, imbed it in the soil of your garden, and water consistently. Butterflies will wish to seek shelter in your garden, especially at night when they become very inactive. Shrubs or trees, where they can hide and cling to leaves, or piles of stones where they can slip between the cracks are great way to give your butterflies a place to feel safe. Butterflies will visit your garden for 2 reasons: to breed and to feed. And since butterflies use different plants for breeding and feeding, you need to plant both. Butterflies lay their eggs on plants their caterpillar offspring can feed on, since their offspring can’t move from plant to plant, these are breeding plants. While breeding plants feed the young, nectar plants feed adult butterflies. Big, bold blooms full of sugar-rich liquid are the butterflies favorite plants to feed on. Butterflies are attracted to plants with platform-like or umble blooms, because of their ability to rest atop them. Coneflowers, zinnias and marigolds are great platform-shaped blooms. 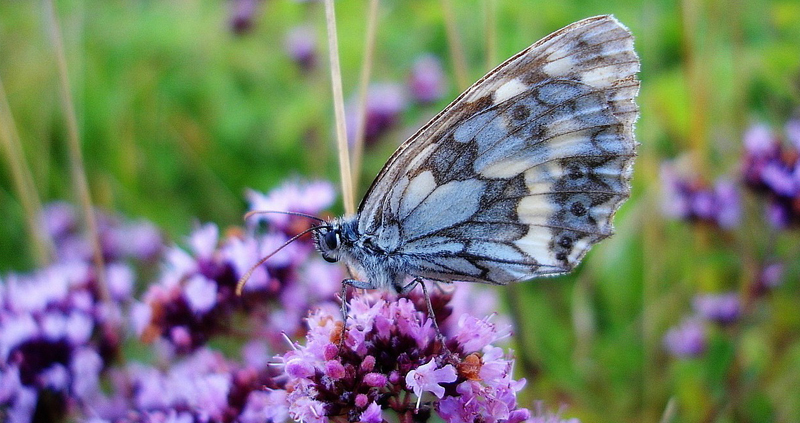 The way that butterflies see colors is directly related to the plants they are attracted to. Their vision extends into the UV range, so most of their nectar gathering is focused on these colors (pinks, purples, yellows, some oranges), so choose varieties in these colors. Height matters. Butterflies are more prone to plants that are higher off the ground for safety reasons, so choose high-growing plants over low-growing plants. Butterflies will return to gardens that consistently provide them with nectar, so make sure to plant varieties with a mixture of different bloom times, so butterflies can rely on your garden to always have nectar-filled blooms. 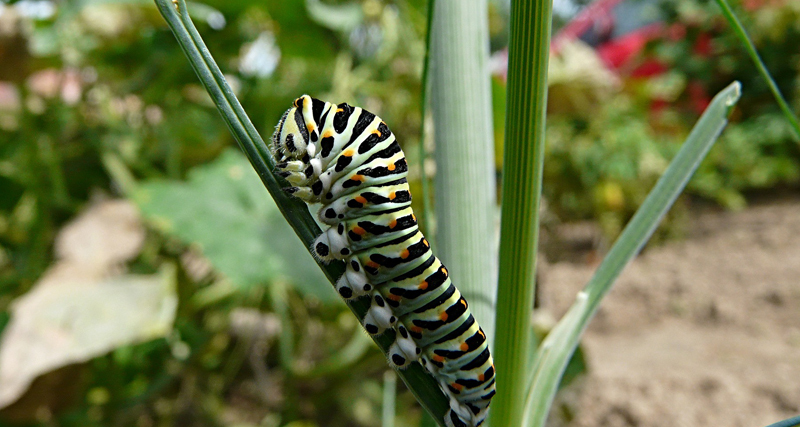 Butterflies prefer native plants, or plants that natural grow in the area they inhabit. 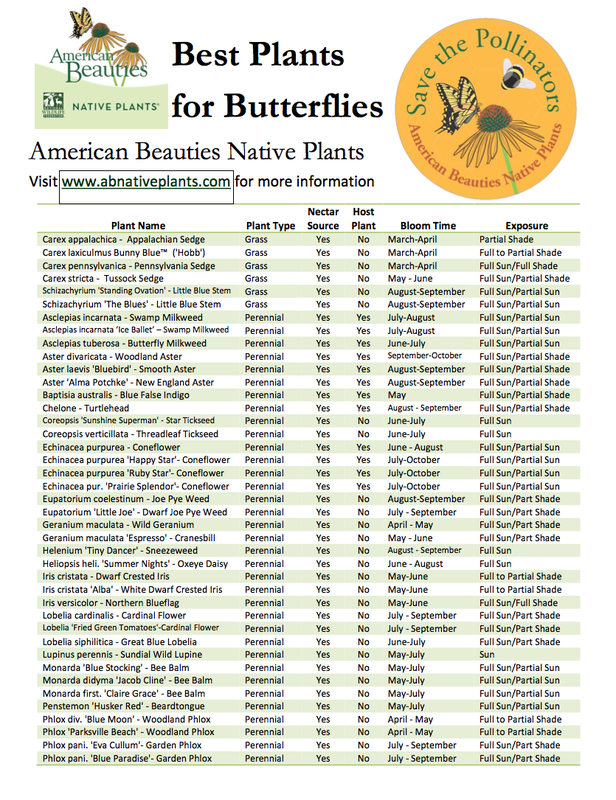 Use this list below for great native varieties butterflies love. Most insecticides and pesticides are toxic to butterflies and other pollinators and should never be used in your butterfly garden, so having an organic garden is key. Check out www.organicgardeninfo.com to see how you can be successful with an organic garden. OUR PLANT EXPERT PICK FOR THE OUR VERY FAVORITE FLOWER THAT’S SURE TO ATTRACT BUTTERFLIES?